furniture and machines, which remain the primary core of the business today, but have expanded in many ways. Virtually all office supply items are available in two days or less and most orders are delivered by our staff. With E-commerce sales, delivery options also include direct shipment. Central Office Service and Supply sells a wide variety of office furniture including the HON and Lorell brands. Furniture services include free consultation and design, as well as delivery and installation. 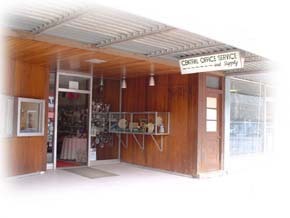 Central Office Service and Supply offers a wide variety of machines including digital multi-function copiers, computers, printers, and traditional products which include typewriters, calculators, time recorders, paper folders, laminators and other machines. Service technicians are on staff to support these machines and provide both telephone and on site support. Central Office Service and Supply sells both custom built and Hewlett-Packard pre built computers, and a variety of home and office printers with Hewlett-Packard being our leading brand. For best performance and reliability, we stock and recommend OEM supplies (genuine manufacturer brands) for all of the equipment that we sell. We are authorized to sell and service Panasonic and Sharp multifunction equipment. In the early 1990's the accounting division was sold and the business structure was changed from a Partnership to a Corporation, yet remaining under the same family ownership. 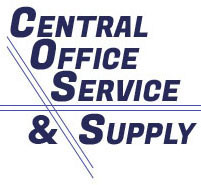 Central Office Service and Supply remains focused on providing top quality products and a high level of personal service, which has not changed in our 66 year history.